According to middle east eye, The United States waged a two-decade war against Iraq, causing the deaths of 1.7 million civilians – half of whom were children. It did this with crippling sanctions during the 1990s, before ruining Iraqi civil society with its illegal 2003 invasion, which took hundreds of thousands more lives, unleashing a sectarian civil war and giving birth to the self-proclaimed Islamic State (IS). But this tells you only part of the nightmare that the US has inflicted upon the people of Iraq. 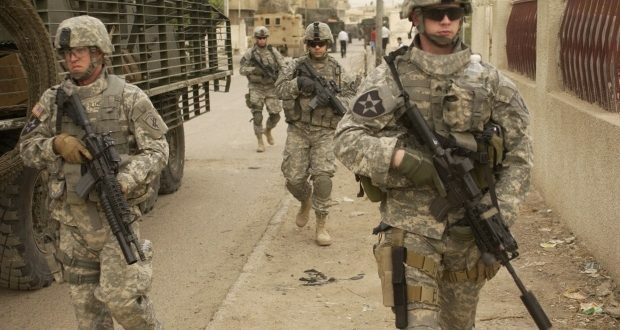 The US occupation has also been accused of causing an “alarming” increase in the number of cases of cancer, leukemia and congenital birth anomalies due to the US army’s use of chemical weapons and dumping of toxic waste, including depleted uranium, into the soil and waterways. This not only poses an existential threat to those alive today, but also to future generations of Iraqis, as the remaining traces of depleted uranium “will remain radioactive for more than 4.5 billion years”. All of this human suffering comes courtesy of a US government that falsified, manipulated and massaged “intelligence” on behalf of a handful of DC neo-conservatives who had been actively seeking a pretence to invade Iraq since the late 1990s so that they could launch their deranged project to remake the world in America’s image. This war of choice has cost US taxpayers more than $2 trillion and the lives of nearly 5,000 US soldiers, not to mention the tens of thousands of others suffering from debilitating physical or mental injuries. Now consider that a new poll conducted by the Pew Research Center has found that 43 percent of Americans still believe that invading Iraq was the right decision. Let that sink in for a minute: almost half of Americans still believe that an illegal war, based on doctored intelligence and entirely debunked claims, which resulted in almost immeasurable death and destruction, was the right thing to do, morally, politically, or otherwise. How on earth does the United States of America, a country that proudly boasts its liberal democratic values, get to the point where it’s pretty much hunky dory with the bloodshed it has unjustly and inhumanely left in its wake? Obviously, that’s a big, broad thesis question that only a 10,000-word academic paper could ever do justice in attempting to answer. But there are a few easily identifiable signposts. Let’s start with the US secondary education system. US students are taught almost nothing about the world that exists outside the nation’s borders. I don’t say that as an outsider: I say that as the father of a daughter who is nearing the end of her junior year. Moreover, high school teaching has become increasingly geared towards standardised testing, meaning schools lose funding if their student body falls below a curve. This means that kids are taught how to pass tests, not how to learn. It’s for this reason, and a myriad of others, that the country now ranks almost last among 35 industrialised nations in mathematics and has also dropped in reading scores. Back to Iraq. A survey conducted for the National Geographic Society in 2006 found that 63 percent of Americans aged 18-24 could not locate Iraq on a map. This is astonishing, given that the US has fought two wars there since 1990 and occupied the country for close to a decade. If one can’t even be bothered to find where the country of Iraq is located on a map, it might not be all that surprising that this person is indifferent to what is going on in the country, as indifference and apathy are more or less the same thing. Another part of the jigsaw puzzle of America’s collective callous indifference towards the devastation it has caused to the Iraqi people is what I call the American Sniper effect – or the way Hollywood gives meaning to US military adventurism. The film American Sniper, starring Bradley Cooper, retells the story of Chris Kyle, the deadliest sniper in US military history, and his four tours of Iraq. He explains that the sheepdogs are there to protect against evil. The inference is clear and intentional: the sheepdog is the righteous American sniper whose mission is to protect his men against the evil Iraqi wolves. A half-dozen scenes later, viewers are shown actual CNN footage of the second plane striking the World Trade Center during the 9/11 attacks. We see the buildings collapse. We then see Kyle and his squad celebrate the news that they’ve been deployed to Iraq. Again, the inference is clear and intentional: to mimic the Bush administration’s pre-Iraq invasion propaganda, and in doing so, mislead the audience into believing Iraq had something to do with 9/11. In a poll taken a decade after 9/11, almost 50 percent of Americans still wrongly believed that Iraq instigated the attacks. If you thought Iraq was behind 9/11, then why wouldn’t you still feel invading the country was the right thing to do? Taking a deeper psychoanalytical perspective, psychiatrist Robert Jay Lifton says that the US suffers from a collective neurosis he calls “superpower syndrome”. “By that term, I mean a national mindset – put forward strongly by a tight-knit leadership group – that takes on a sense of omnipotence, of unique standing in the world that grants it the right to hold sway over all other nations,” Lifton writes. Lifton says that the United States’ sense of omnipotence and invulnerability was smashed into pieces by the 9/11 attacks, creating, in turn, a vengeful desire to “restore, or even extend, the boundaries of a superpower-dominated world”. Sufferers of “superpower syndrome” internalise the belief that the state has a right to revenge the humiliation caused by terrorists and, because of “its unique moral standing, a duty to dictate terms of existence to the rest of the world”. In other words, only the existence and vitality of the American empire matters. And for those left in our wake, don’t expect an apology.